WLODARCZYK, P. , SUMPER, A. , CRUZ, M.
Low-voltage Microgrids can be valuable sources of ancillary services for the Distribution System Operators (DSOs). The aim of this paper was to study if and how multi-microgrids can contribute to Voltage Control (VC) in medium-voltage distribution grids by means of reactive power generation and/or absorption. The hierarchical control strategy was proposed with the main focus on the tertiary control which was defined as optimal power flow problem. The interior-point algorithm was applied to optimise experimental benchmark grid with the presence of Distributed Energy Resources (DERs). Moreover, two primary objectives were formulated: active power losses and amount of reactive power used to reach the voltage profile. As a result the active power losses were minimised to the high extent achieving the savings around 22% during entire day. H. Farhangi, "The path of the smart grid," Power and Energy Magazine, IEEE, vol. 8, no. 1, pp. 18-28, January 2010. S. Chowdhury and P. Crossley, "Microgrids and Active Distribution Networks," ser. IET renewable energy series. Institution of Engineering and Technology, pp. 2, 2009. J. P. Lopes, N. Hatziargyriou, J. Mutale, P. Djapic, and N. Jenkins, "Integrating distributed generation into electric power systems: A review of drivers, challenges and opportunities," Electric Power Systems Research, vol. 77, no. 9, pp. 1189 - 1203, 2007. M. Bollen, "Integration of Distributed Generation in the Power System," ser. IEEE Press Series on Power Engineering. John Wiley & Sons, pp. 84-87, 2011. P. Kundur, "Power System Stability And Control," ser. EPRI power system engineering series. McGraw-Hill Education (India) Pvt Limited, pp. 627-684, 1994. O. Richardot, Y. Besanger, D. Radu, and N. Hadjsaid, "Optimal location of pilot buses by a genetic algorithm approach for a coordinated voltage control in distribution systems," in PowerTech, 2009 IEEE Bucharest, June 2009, pp. 1-7. 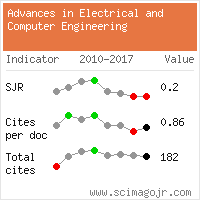 J. P. Paul, J. Leost, and J.-M. Tesseron, "Survey of the secondary voltage control in France : Present realization and investigations," Power Systems, IEEE Transactions on, vol. 2, no. 2, pp. 505-511, May 1987. H. Farag and E. El-Saadany, "A novel cooperative protocol for distributed voltage control in active distribution systems," Power Systems, IEEE Transactions on, vol. 28, no. 2, pp. 1645-1656, May 2013. G. Valverde and T. Van Cutsem, "Model predictive control of voltages in active distribution networks," Smart Grid, IEEE Transactions on, vol. 4, no. 4, pp. 2152-2161, Dec 2013. Y. Agalgaonkar, B. Pal, and R. Jabr, "Distribution voltage control considering the impact of pv generation on tap changers and autonomous regulators," Power Systems, IEEE Transactions on, vol. 29, no. 1, pp. 182-192, Jan 2014. L. Yu, D. Czarkowski, and F. de Leon, "Optimal distributed voltage regulation for secondary networks with dgs," Smart Grid, IEEE Transactions on, vol. 3, no. 2, pp. 959-967, June 2012. K. Tanaka, M. Oshiro, S. Toma, A. Yona, T. Senjyu, T. Funabashi, and C.-H. Kim, "Decentralised control of voltage in distribution systems by distributed generators," Generation, Transmission Distribution, IET, vol. 4, no. 11, pp. 1251-1260, November 2010. A. Madureira and J. Pecas Lopes, "Coordinated voltage support in distribution networks with distributed generation and microgrids," Renewable Power Generation, IET, vol. 3, no. 4, pp. 439-454, December 2009. H. Fakham, A. Ahmidi, F. Colas, and X. Guillaud, "Multi-agent system for distributed voltage regulation of wind generators connected to distribution network," in Innovative Smart Grid Technologies Conference Europe (ISGT Europe), 2010 IEEE PES, Oct 2010, pp. 1-6. S. Frank and S. Rebennack, "A primer on optimal power flow: Theory, formulation, and practical examples," Colorado School of Mines, Tech. Rep, 2012. B. Allaoua and A. Laoufi, "Optimal power flow solution using ant manners for electrical network," Advances in Electrical and Computer Engineering, vol. 9, no. 1, pp. 34-40, 2009. H. Hindi, "A tutorial on convex optimization II: duality and interior point methods," in American Control Conference, 2006, June 2006, pp. 11. R. H. Byrd, M. E. Hribar, and J. Nocedal, "An interior point algorithm for large scale nonlinear programming," SIAM Journal on Optimization, vol. 9, no. 4, p. 877, 1999. E. Valsera-Naranjo, A. Sumper, R. Villafafila-Robles, and D. Martinez-Vicente, "Probabilistic method to assess the impact of charging of electric vehicles on distribution grids," Energies, vol. 5, no. 5, pp. 1503-1531, 2012. M. Marzband, A. Sumper, A. Ruiz-Alvarez, J. L. Dominguez-Garcia, and B. Tomoiaga, "Experimental evaluation of a real time energy management system for stand-alone microgrids in day-ahead markets," Applied Energy, vol. 106, no. 0, pp. 365 - 376, 2013. Citations for references updated on 2019-04-21 21:24 in 115 seconds.